I was contacted in 2003 by Prestel, an “Art and Architecture Publishing House based in Munich,” asking if I would send some photos for use in a book by Sean Topham about portable architecture. Following their success with Xtreme Houses, this one would focus on a subject dear to my heart… highly mobile residences. 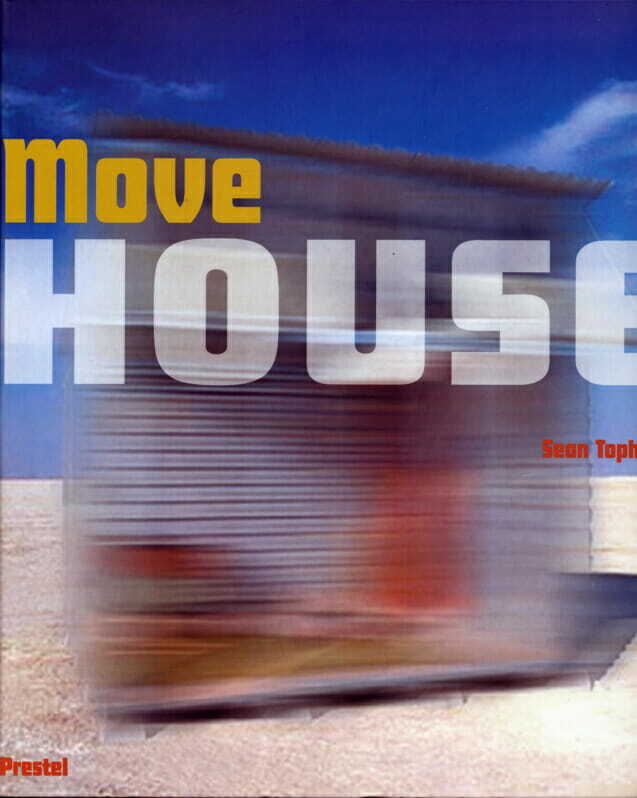 I said yes, and was quite delighted with the resulting book, Move House. Although some of the featured projects were more design concepts than reality, most were about actual creations… and the production quality of the 144-page volume is lush. It’s a fun read, and I’m happy to be a part of it (pages 132-135). You can click to embiggen the photos. Weighing just over 260 kilograms when fully loaded, Behemoth may be a heavyweight bruiser of a bicycle but it barely makes flyweight when compared to other mobile homes. 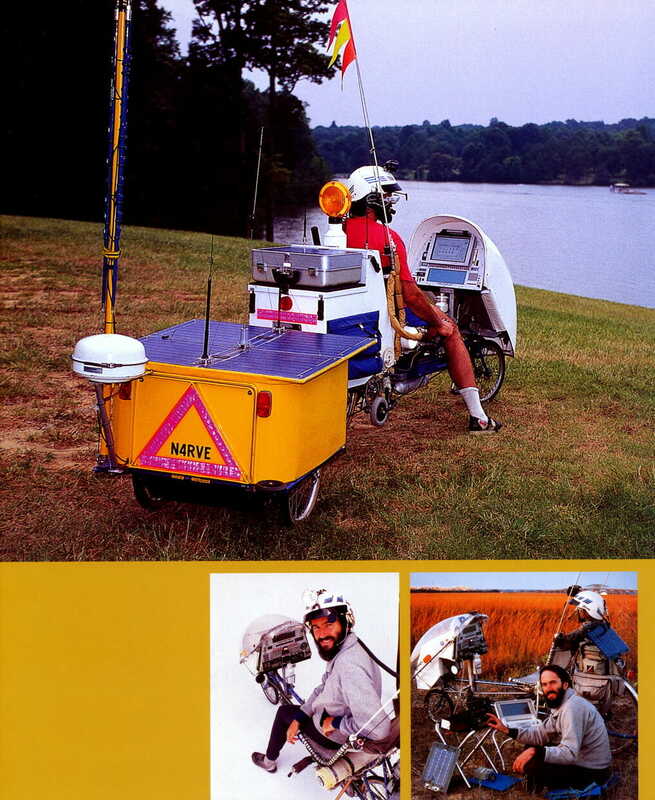 Its predecessors Winnebiko I and II are even lighter, and with the three machines Steven Roberts pedaled over 27,000 kilometers around the USA. Unlike the majority of projects in this book, Roberts’s array of high-tech homes on wheels are not formed by a need for movable shelter but by a passion for communication. 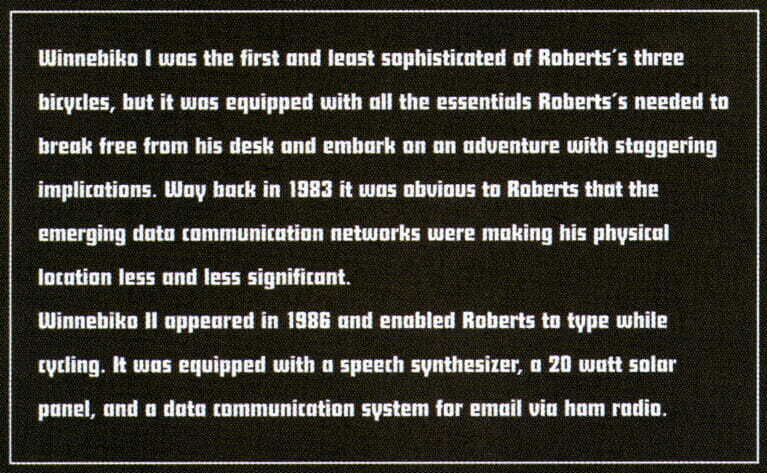 Behemoth [Big Electronic Human-Energized Machine … Only Too Heavy], the final incarnation of Roberts’s wired bicycles, was three and a half years in development, but he only used it for a further 1,500 kilometers. 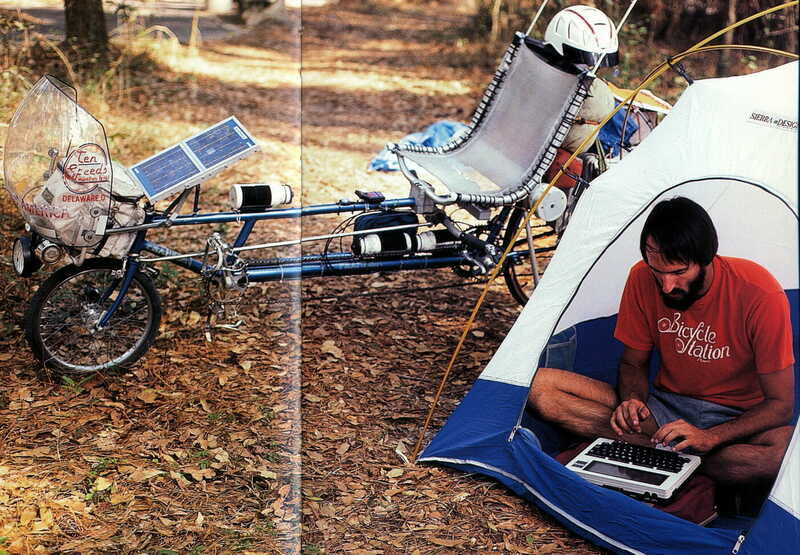 In addition to the computing facilities of a small laboratory, the bike and its trailer also carries a full suite of camping and life-support equipment. 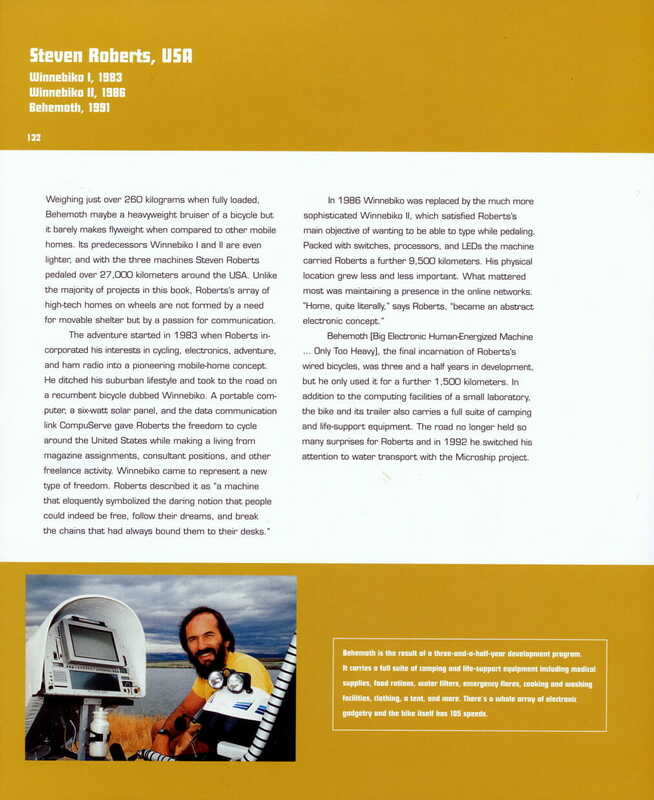 The road no longer held so many surprises for Roberts and in 1992 he switched his attention to water transport with the Microship project.